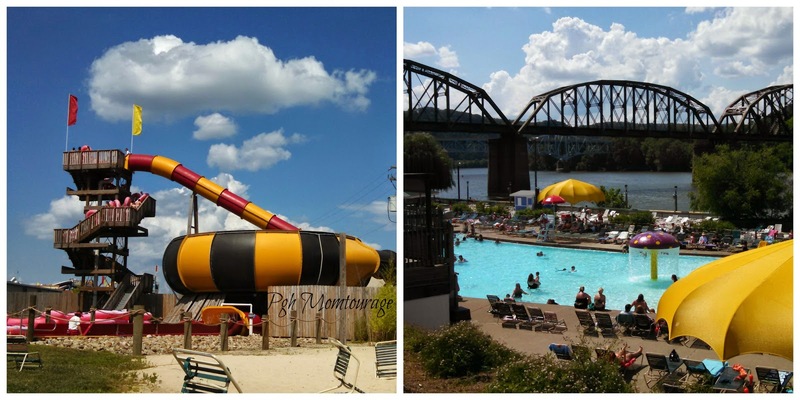 We were recently invited to hang out at Sandcastle Water Park - what a fun & unique place it is in our city! I love the way it is built along the river and you can see some of the beauty of our city while feeling like you're on vacation. 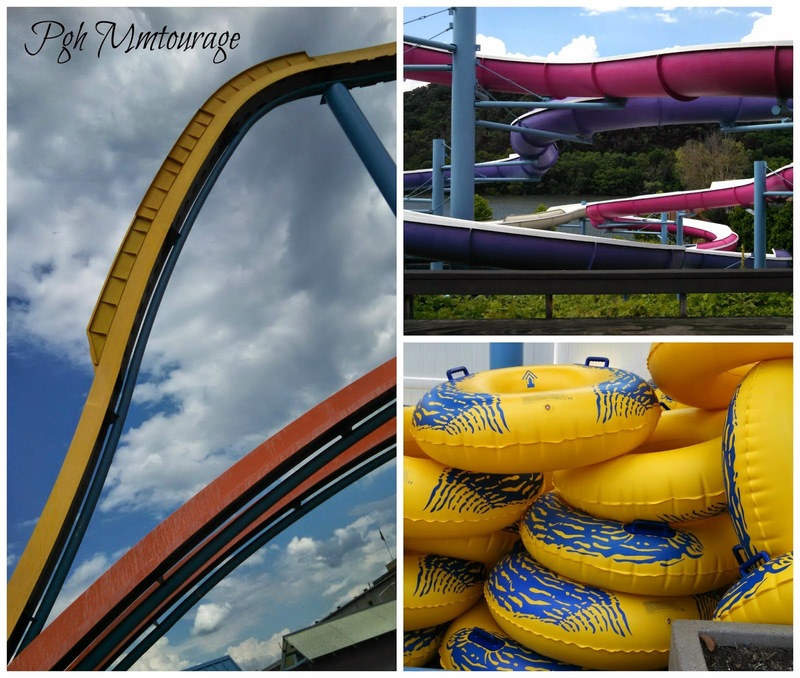 Each attraction is supervised by lifeguards. Where else can you enjoy a wave pool with the excitement of a train passing over ahead? My kids loved Wet Willie's Water Works which provides kids with ropes, valves, & handles to control geysers, fountains, & sprays. The Tad Pool is also great for little ones, with zero entry, 2 feet depth throughout and several fun slides. 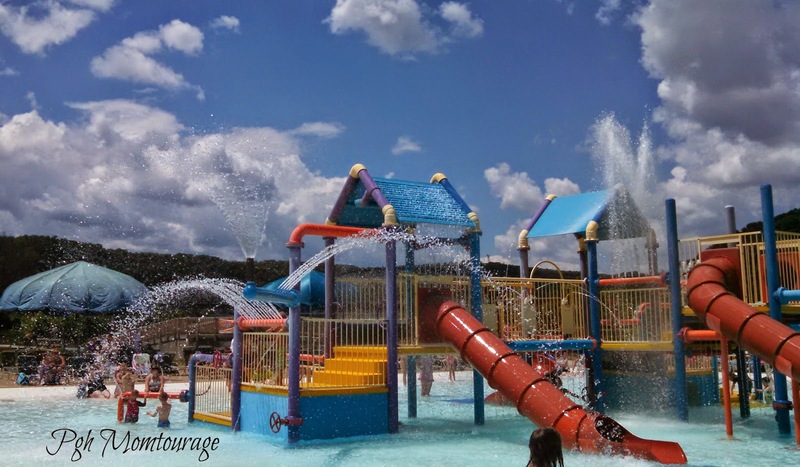 The Lazy River is another fun way to enjoy the water with your kids! We even managed to find a good patch of sand. 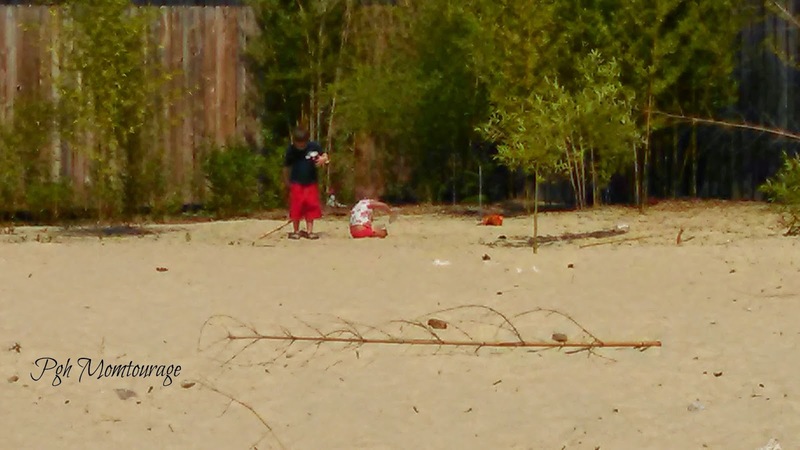 I'm honestly not sure if it's supposed to be an official sandbox, but my kids enjoyed it. The mushroom pool (on the right) is another zero depth entry pool. We have a promo code to share with you! 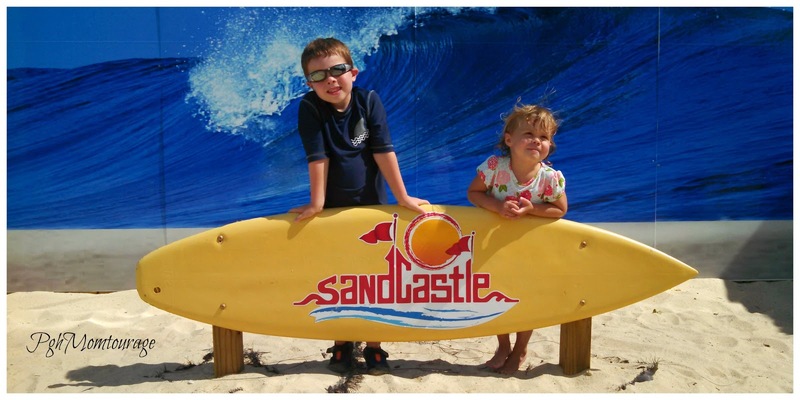 Use MOMBLOG14 to get $5 off of the $31.99 Regular Admission price via Sandcastle’s online site (expires 9/1/14). 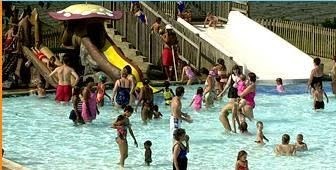 Go to sandcastlewaterpark.com, and input the code in the top right corner. 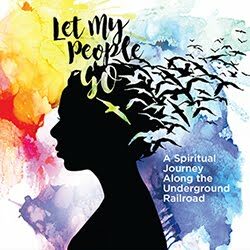 Do you have friends or family coming in to Pittsburgh this summer? Be sure to pass along our discount code and encourage them to include it in their plans! Thanks, Sandcastle, for being another awesome family venue in Pittsburgh! Follow Sandcastle on social media for all the latest updates!